Number 32, 1949 by Jackson Pollock will be featured in the Contemporary Art Evening Auction on 16 May 2018 in New York. The production of the artist’s drip paintings of 1948-9 stands as one of the most radical events in 20th-century art, in which the boundaries of painting were pushed and a new aesthetic established. 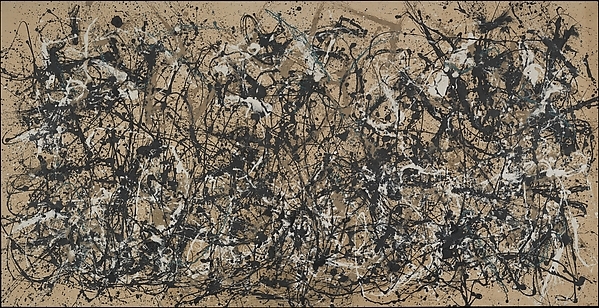 Number 32, 1949 comes from a critical year for the artist and epitomizes the chaotic vibrancy, heroic drama and thrilling vigor that have come to define Pollock’s prodigious legacy. Jackson Pollock executed his first drip painting in 1947.
and Number 1A, 1948 (collection of The Museum of Modern Art, New York). 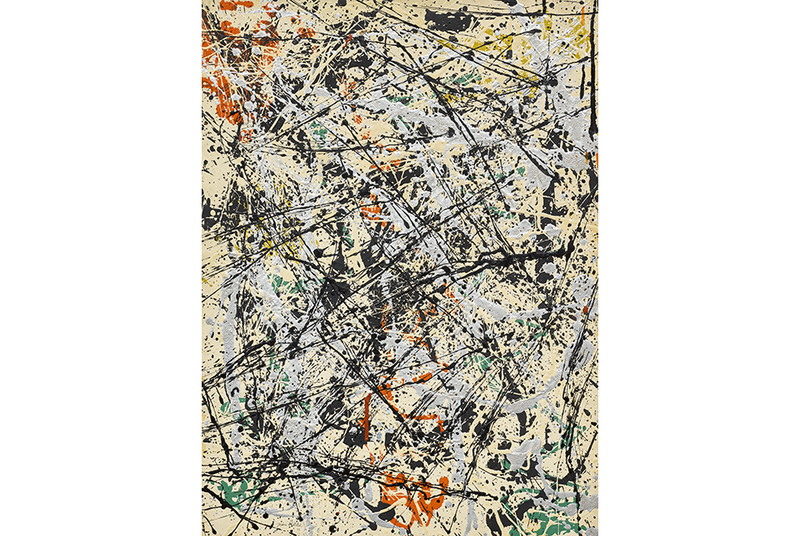 Exceptionally rare, Number 32 is one of a very limited group of 16 drip paintings Pollock created on paper mounted on Masonite or canvas in 1949 and one of only eight that feature the aluminum paint that creates a lustrous shimmer around his elaborate gestural movements. Boasting a fully painted surface with intricate layers of dripped and poured oil, enamel, and aluminum paint, the work has one of the most complete and richly covered surfaces of the entire series; indeed the last time a painting of this composition was offered at auction was in May 2013, when it set a record price of $58.4 million. It is further distinguished by a dense composition of black and silver splatters offset by bursts of brick red, bright orange, sunflower gold, and vibrant sea green that extend to the very edges of the paper. Other examples from this limited group reside in prestigious collections including the Solomon R. Guggenheim Museum, New York and The Munson-Williams Proctor Art Institute, Utica, New York.